Hello peeps just a quick card to share with you.I think this image is so sweet it is from the garden fairies and fits nicely into the labels 7 dies I have coloured using promarkers,the letters are sizzix bug in a rug alphabet dies which i have glittered and i finished with ribbon,gems and did a little fake stitching to draw it all in. 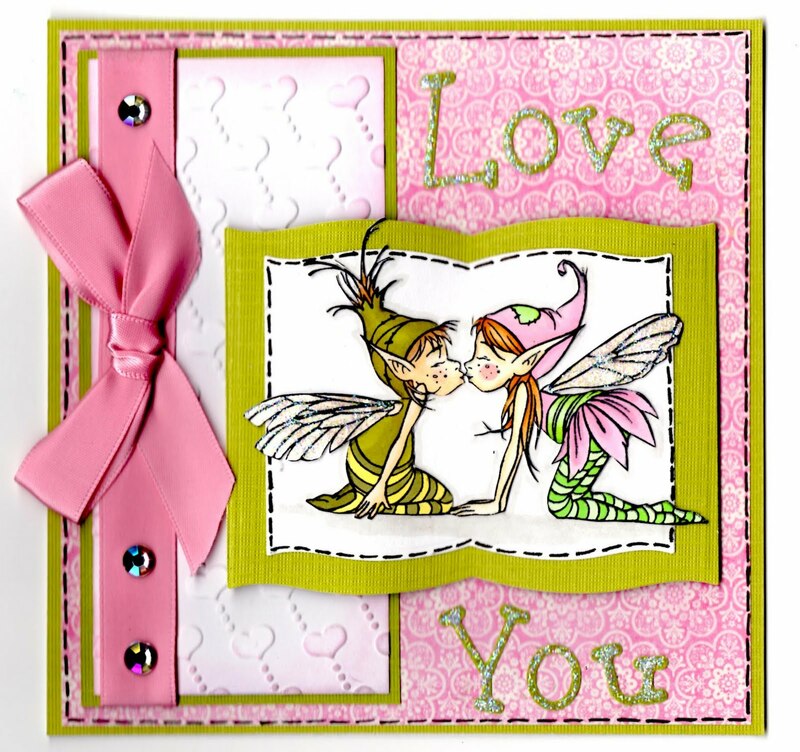 Hi Lorraine...what a fab card...love the layout and the image is beautiful!! Love these little fairies and your colouring is so beautiful. A really pretty card and beautiful colours. Thanks for joining Charisma this week. what a fabulous fairy image - I love it !! 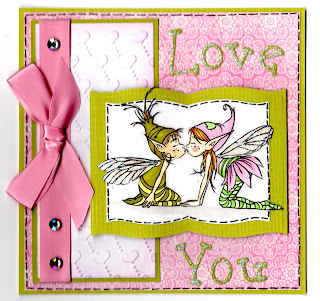 Your colour combo is also one of my favs, lovely card. Thanks for joining us on I Love Promarkers this week. This is absolutely gorgeous Lorraine that image is so magical and you have chosen some wonderful colours to work with.the papers, embossing and that ribbon look wonderful.